The main issue I had with Mass Effect 3 was the general sense of urgency the narrative had. 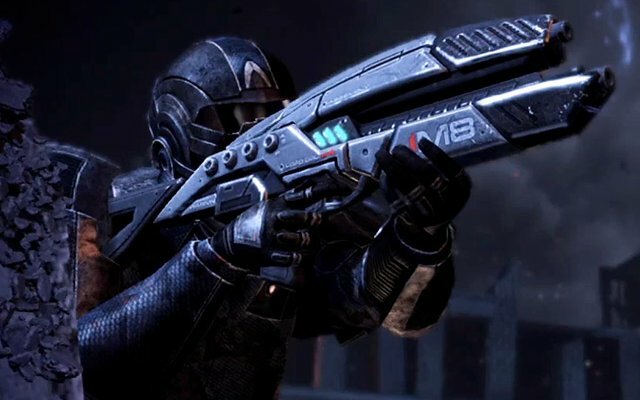 Shepard and company leading a united galaxy against The Reapers had a certain hectic aspect to it. The galaxy’s getting annihilated. People are dying. There’s no time for rest and relaxation in the face of monstrous odds. But with Citadel, the latest DLC, Admiral Hackett orders Shepard and the crew of the Normandy to take some much-needed shore leave. While the galaxy is basically being raped. No big deal, right? The comparison to Bethesda’s Hearthfire expansion for Skyrim is apt. Shepard is given his own little slice of Citadel heaven: an actual apartment on the Citadel station. There’s a bar. Love seats. All kinds of delightful goodies for the tasteful Commander who needs a break from saving the galaxy. It’s great hearing Admiral Anderson’s additional dialogue. Keith David is the unsung hero of this franchise, turning in a powerful vocal performance in each game. Having his stern (yet fair) voice guide you around the apartment, espousing words of wisdom that would seem prophetic for Shepard (who, after all, is the hero Anderson could never be) if more time was given to the relationship between the two heroes. Playing through with my primary Commander Shepard (Rob), I enjoyed listening to little narrative threads left by Anderson about his career, life and history. Pretty much everybody you’d wanna see pops up here, which is nice. As interesting as DLC can be, unless players are given new characters/party members, any new piece of content feels superfluous. This has been the case with every piece of Mass Effect 3 DLC. A terminally-small cast of characters, minimal character development and nothing really to show for it with each new piece of DLC. It’s a shame when game developers and writers paint themselves into a corner narratively and aren’t clever enough to find their way out. When a certain character from the first game returns out of nowhere to save the day early in the DLC, it becomes apparent that Citadel is strictly fan-service. It feels like fan fiction, the kind a Mass Effect junky would write after playing through Mass Effect 2‘s Lair of the Shadow Broker and its silliness. That’s not entirely a bad thing, if I’m honest. Some of the dialogue is genuinely funny and the relationships between the crew are rounded out. The team feels more like an Ocean’s 11-type unit than a bunch of adrenaline junkies bound together by duty. It’s an interesting (and welcomed) change of pace from the dour death-fest that is Mass Effect 3. The hunt through the bowels of the Citadel is fairly spectacular, reminiscent of the ending to Mass Effect 2, where it was everyone fighting as one to get the job done. 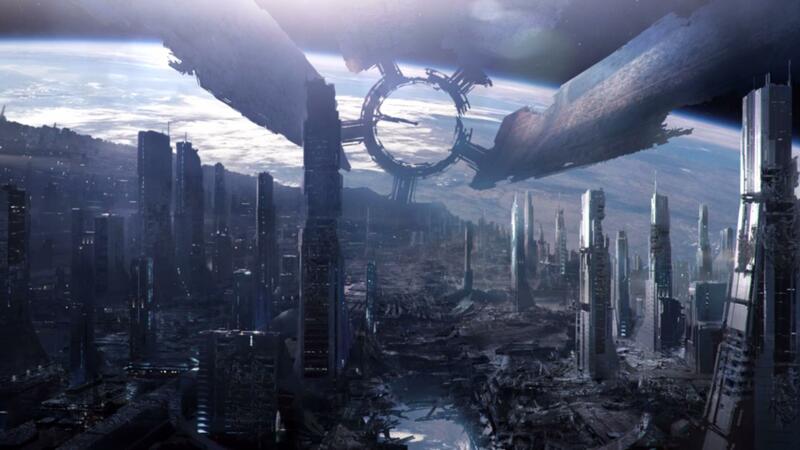 Historical pieces that round out the Mass Effect universe are strewn about, including a monumental secret related to the history of the Krogan genophage. 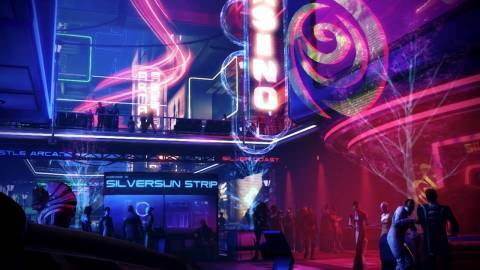 Silversun Strip is a new area of the Citadel to hang out in. A combat simulator and a few other diversions await Shepard and his band of misfits. 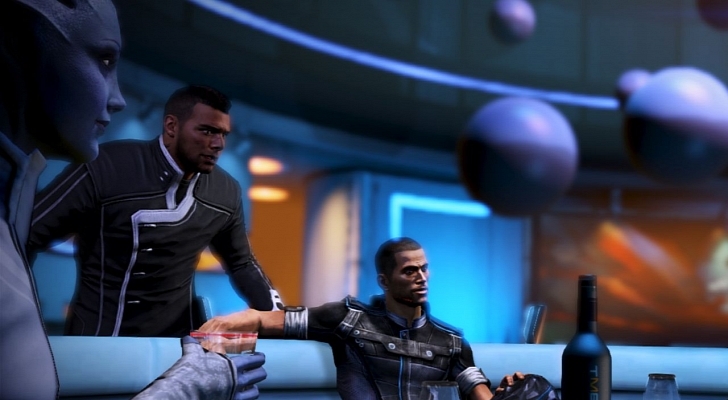 The best gag in the entire DLC comes at Javik’s expense, when a character refers to him as “Prothean of unknown ethnic origin,” a slight dig at the Jamaican vocal performance by Ike Amadi. For a piece of DLC that’s basically “the gang’s all here,” there’s one notable exception. Either I didn’t scrounge every pixel hard enough or BioWare neglected to bring back even the slightest nod to Legion, my favorite of the “new” characters in Mass Effect 2. Before you comment, yes, I know he doesn’t make it through Mass Effect 3, however; other characters who don’t make it have a presence and it feels wrong to not give Legion a moment in the sun, if, in fact, he is absent. This is perhaps the ending fans wanted. To see the crew of the Normandy take a deserved break from the mayhem of a galactic apocalypse. Everyone deserves a little shore leave.